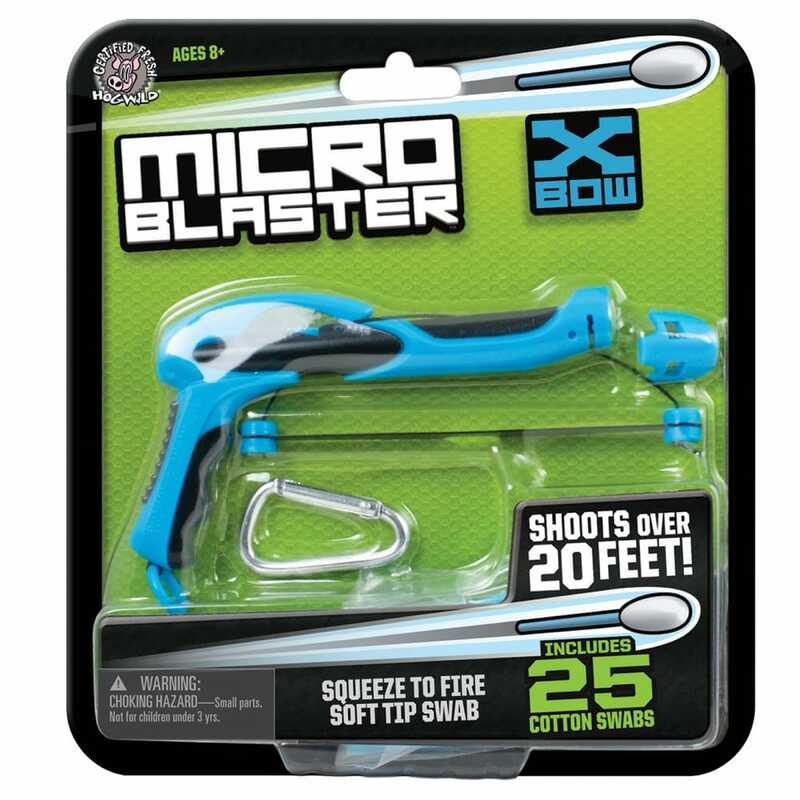 The X-Bow will launch a cotton bud up to 20 feet! Pull back the bow's cord until it rests in the notch then insert a bud and pull down the launch ring to fire! Includes 25 cotton buds and karabiner to clip your X-Bow onto your belt.